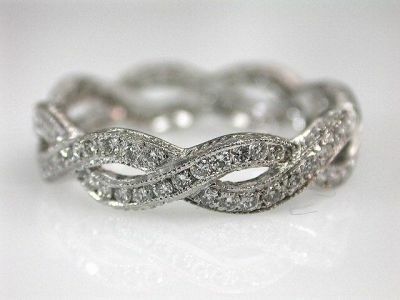 One platinum braided eternity band. Eighty-eight round brilliant cut diamonds (0.62 carats: VS-SI clarity: H-I colour). Size 6.25.